Calling all 7-12th graders: join Farm Club! Our education hoop house is back in action! 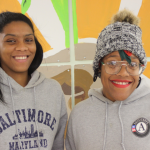 For five weeks in the summer, a group of inner-city high schoolers in Baltimore farm, cook, and learn leadership skills, all thanks to Mission Thrive, an innovative program co-created by The Institute for Integrative Health. 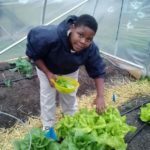 Mission Thrive Summer participants, many of whom who are paid for their work on Civic Works’ Real Food Farm, also get mindfulness training— a combination of yoga, breathing, and silent reflection — to help them manage stress and regulate their emotions. 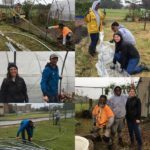 Through their hands-on experience on the farm and nutrition training, students learn the difference between real, whole foods and store-bought products. Read the full story at WellBe. Video credit to WellBe.